Alumina (also known as Corundum or Aluminium Oxide) is the family name for inorganic compounds with the chemical formula Al2O3. LKAB Minerals offer Brown and White Fused Alumina for the Refractory industry. Brown Fused Alumina is a dense material produced from bauxite raw material. 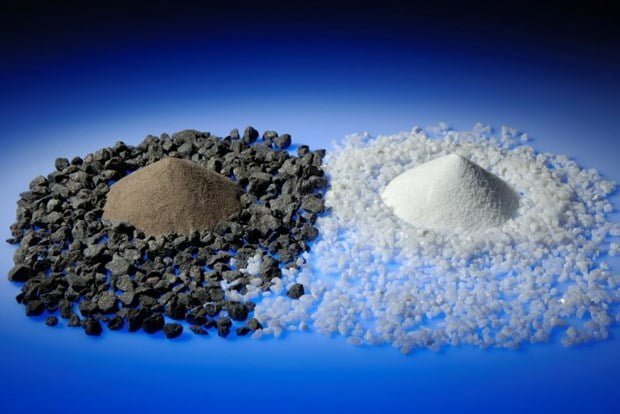 The end product has a low iron content making it particularly valuable in refractory applications. White Fused Alumina is produced by fusing calcined alumina. It is white in colour, a dense mineral and has predominantly large crystals of Alpha Alumina.